ATTACKING midfielder Keron “Ball Pest” Cummings is expected to suit up for new employers Morvant Caledonia United against crosstown rivals San Juan Jabloteh from 6pm today when the Pro League resumes with a mouth-watering double-header at Hasely Crawford Stadium, Mucurapo. Star-studded Defence Force FC will host Club Sando, a side boasting the likes of newcomer Jabari Mitchell and returning winger Tyrone Charles, from 8pm in the second game at the Mucurapo Road venue. 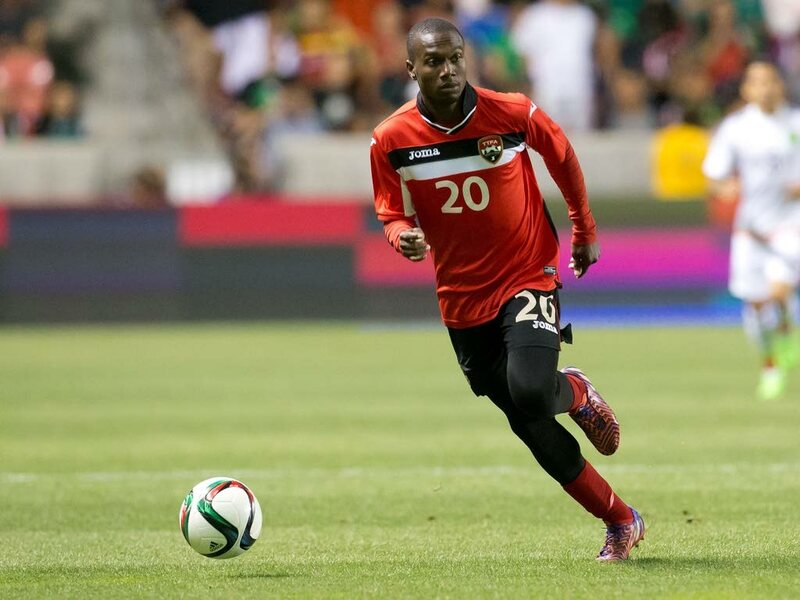 Cummings, 30, made the switch from three-time former league Central FC, becoming part of a handful of marquee signings by Morvant Caledonia including 22-year-olds winger Aikim Andrews, defensive midfielder Jesus Perez, centre-back Maurice Ford and 20-year-old Grenada forward Saydrel Lewis — all during the August transfer window. Morvant Caledonia, coached by technical director Jamaal Shabazz and head coach Jerry Moe, are in crucial need of points after five league outings, positioned eighth on the 10-team standings with just five points and a game in hand against cellar-placed North East Stars. Shabazz pointed out that while aim of Morvant Caledonia is to grow competitively this season, the ultimate goal is to become the team of 2019 and to return to CONCACAF and Caribbean glory in 2020. “We are in it for the long haul …for instance, we signed Keron Cummings for two years,” said Shabazz, who guided Morvant Caledonia, then Caledonia AIA, to the Caribbean crown in 2012 and on the CONCACAF Champions League stage in 2012 and 2013. Shabazz, who also welcomed the addition of experienced ex-Central defender Keion Goodridge during the transfer window, says he is confident that his club’s latest signings, together with the talent across the team such as 19-year-old forward Renaldo Francois, Guyana international attacker Sheldon Holder and veteran playmaker Kerry Daniel, will improve performances. “We always wanted to be competitive [this season], although we started cautious,” the Morvant Caledonia boss said. “But the injection of capital through the Government’s subvention opened the opportunity for us to invest in about four marquee players who can make a huge impact on the field and also assist in bringing along the younger players. “In doing so, we are overly focused on building the infrastructure of the team and a more holistic approach in the players’ development in areas (like) nutrition and so on. Shabazz, while admitting there will be an adjustment period for the new players “because they came from backgrounds that are pretty set in their ways,” praised the immediate influence of Cummings. “Keron Cummings certainly has made his presence in training felt,” added the Morvant Caledonia technical director. “He has forced his way into the starting eleven. Most importantly he has been a good person to his fellow players, being very encouraging on the pitch. Reply to "‘Ball Pest’ to make Caledonia debut tonight"